When it comes to the future of its oil industry, Nigeria is looking miles out to sea. By early 2019, the largest offshore production vessel ever delivered to Nigeria in Total SA’s $4 billion floating production, storage and offloading vessel, will start pumping crude from the Egina deep offshore field, boosting Nigeria’s oil output by about 10%. The project, viewed as the most ambitious in Nigeria’s history, could help to push production to a record by 2022. 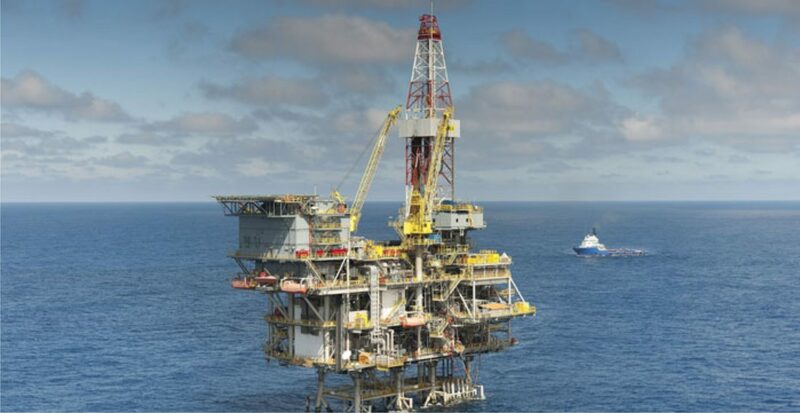 The project will help to boost the share of Nigeria’s production from offshore fields, part of a strategic shift that began at the start of the decade when companies including Chevron Corp. and Royal Dutch Shell Plc started looking at higher-cost offshore fields to minimize risks from sabotage, kidnapping and crude theft. Two-thirds of the nation’s production will stem from deep-water deposits by 2022, up from half today, according to the NNPC. Egina is the first offshore field to start production in Nigeria since Exxon Mobil Corp.’s Usan in 2012. With no big developments lined up on land, the share of output stemming from offshore is only going to rise – but it will take time. After Egina, the projects at the most advanced stage are Shell’s $10 billion expansion of its Bonga field and Eni’s Zabazaba-Etan project, which are still years away from production. Formal decisions on investment are still pending in both cases. Over the past 15 years, since around the time that Egina was discovered, a raft of other fields has been added to Nigeria’s potential project lineup. They include the Bosi field, as well as the massive billion-barrel Owowo field, both discovered by Exxon, but still awaiting development. Chevron is working on Nsiko, part of a block that’s over 2,400 meters deep, much deeper than Bonga. Nigeria’s success in boosting offshore developments will, however, also depend on its efforts to make the regulatory and legislative backdrop more certain for investors.